Today’s the day! 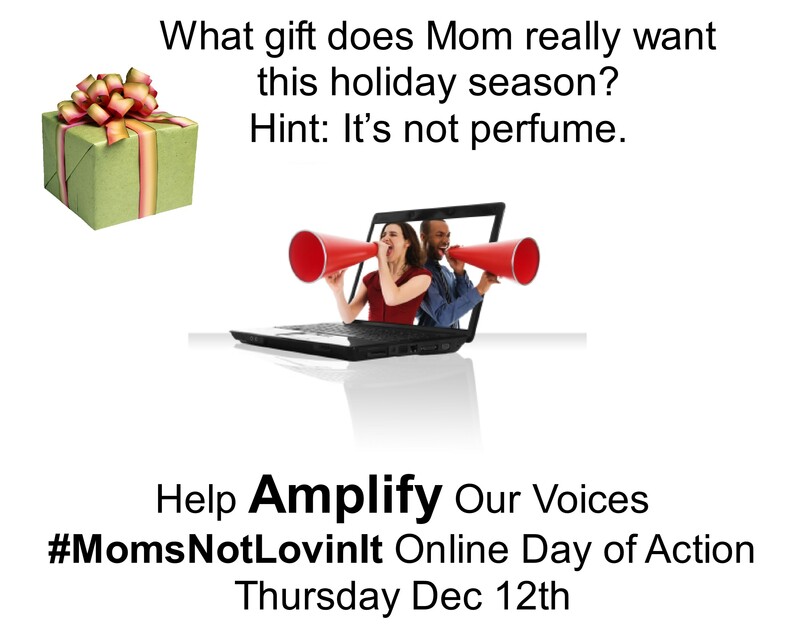 Give the gift that will last long past the holidays…the gift of action. Help amplify the voices of parents asking McDonald’s and the Women Operators’ Network to shut down HappyMeal.com, remove Ronald from schools, and stop marketing to children. Fast food companies amplify their messages to kids with billions of dollars spent on marketing. Let’s even the playing field a bit. Please sign the petition calling on the McDonald’s Women Operators’ Network to protect kids’ health and stop marketing to children. Kids are being targeted with fast food marketing that takes advantage of their developmental vulnerabilities and reaches them behind parents’ backs. Tags: #MomsNotLovinIt. Bookmark the permalink. Great sampling of the various insidious ways fast food advertising appears in children’s lives– and the health ramifications. I hadn’t seen the BU study yet–especially devastating given that 1 in 2 latina and black girls in the U.S. are expected to develop diabetes in their lifetime (whereas it’s 1 in 3 for the general population, which of course is also terrible). And KFC copying Angry Birds with its advergame? Given how many people I know are hooked on Angry Birds, that’s pretty scary…. Thanks for being such a great educator and advocate, Casey! The BU study is even more concerning when you look at how those groups are getting a double dose of marketing. Thanks for the comment!